If you live in the UK, the US or indeed pretty much anywhere on the face of this planet, then you will very likely be aware of the fact that Prince Harry and actress Meghan Markle got married this weekend, and while you’re likely tired of hearing about it, there appear to be some people who just cannot get enough of the event – at least, that’s what Goldgenie is hoping after announcing that it is now selling a limited edition iPhone X, covered in 24k gold and with a commemorative engraving of the couple on its back. It costs almost $4,000 and may just be the tackiest iPhone I’ve seen yet. That’s saying something, too. We’ve seen iPhones with Russia’s very own Vladamir Putin slapped on them! Still, this iPhone X Elite will only be made in a small quantity with 99 set to run off the production line. Beyond the new look, the iPhone X Elite is exactly the same as any other iPhone X, although this special version is only available in the 256GB flavor. 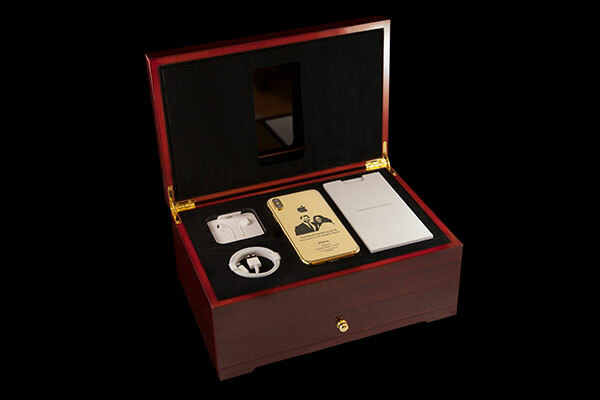 For your $3964.16, you will get the iPhone itself along with a pair of white EarPods, a charging cable and the customary 5-watt USB power adapter inside a luxury cherry oak presentation box. 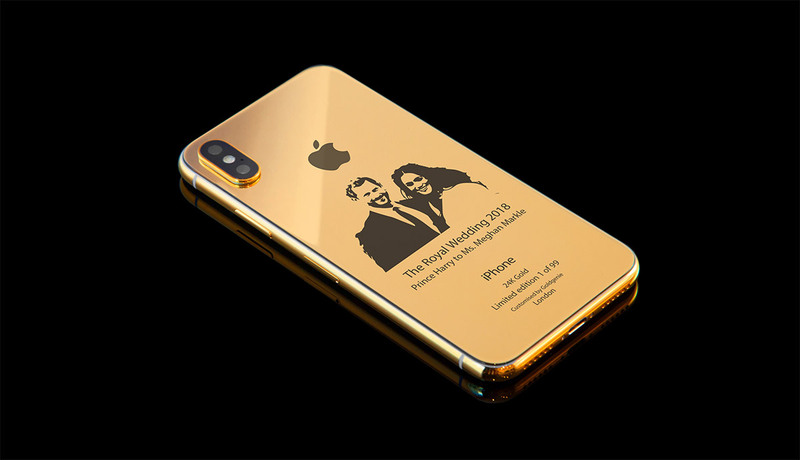 There will also be Total Armor Protection pre-installed in an attempt to keep that $4,000 iPhone looking as great on the couple’s wedding anniversary as it does today. The phone is currently available for order at goldgenie.com. If this version is not exclusive enough, there will be a special diamond covered version offered for $4604.18, although it won’t actually be more exclusive at all – there will still be 99 made available to those who have more money than they know what to do with. For that much you don’t get a case nor AirPods? That’s ridiculous. You can pay $2000 and get a good iPhone X that says make America great again. That’s a better offer. The Royal wedding can just get lost! They dont care about you but themselves. They need to go away! Are you people this f… up . Great Britain people are complete idiots for even watching these two. What joke. I’m going to laugh when it becomes all Muslim. At least we won’t have this garbage coming out of it. Yeah, that’s what I would want on my phone, they gonna princess Diana this chick.